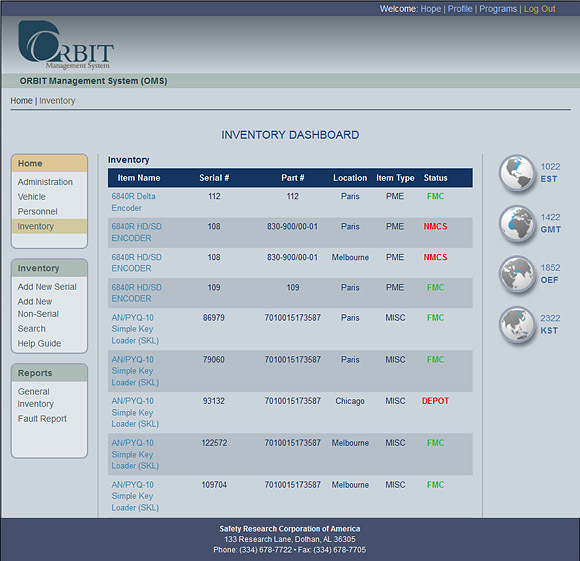 The Inventory Dashboard allows for tracking and reporting of inventory, including spare parts. The information is displayed by nomenclature, part number and serial number. Each individual inventory item can be viewed and updated by selecting it from the dashboard or by locating the item through the search feature. Users can record warranty information by component total use time, allowing for daily entry of component run time, or by expiration date. The ORBIT Management System gives users the benefit of knowing at a preset benchmark prior to expiration with automated reporting. 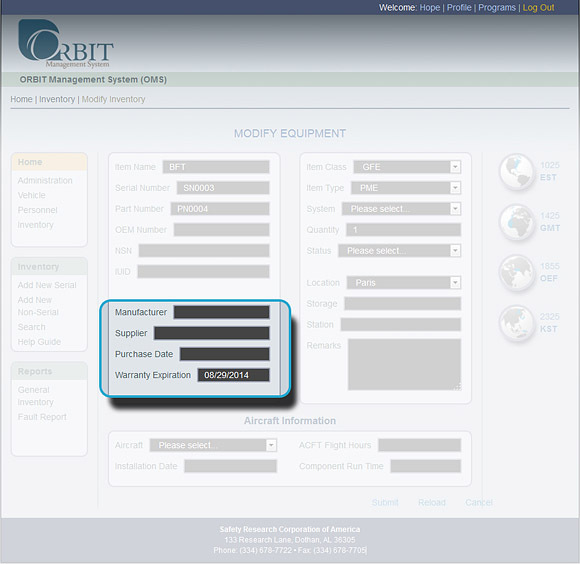 The ORBIT Inventory Module gives users the ability to initiate, track and close shipping and receiving transactions, providing shipping documentation beneficial to accurate recording keeping. 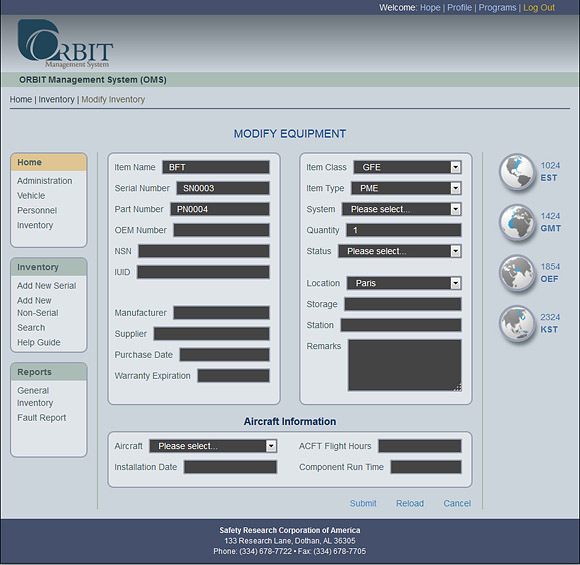 Each individual component in the ORBIT Management System carries its own maintenance history database, allowing users the ability to track maintenance events down to the specific component.